A romance on the rocks, an artist’s vision stalled, and a graduate thesis in peril lead four young New Yorkers through a series of intersecting vignettes in this captivating new musical. 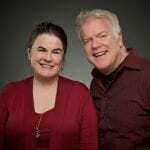 While Claire and Jason struggle to confront the fracture in their relationship, Warren and Deb form a quirky friendship over an unshared love of the Met. Unfolding through an intricate, original score, their individual journeys ultimately overlap in one extraordinary moment that alters the course of their lives and reveals the simple beauty of letting go to truly live. Audience discretion is suggested. Run time is approximately 1 hour and 25 minutes with no intermission. º Nights with the stars are free and begin immediately following Friday night performances. Audiences are invited to remain after the show for a meet and greet with the artists. Quinlan is happy and thankful to be back at Broadway Rose working with such a fantastic team! Previous Portland credits include: The Humans at Artists Repertory Theatre, Trails at Broadway Rose, The Angry Brigade at Third Rail Repertory Theatre, Charles Dickens' A Christmas Carol, Peter and the Starcatcher, and You for Me for You at Portland Playhouse; and Love's Labour's Lost at Portland Actors Ensemble. Other credits: Spring Awakening at Out of the Box Theatre Company, and Godspell and Audience at Knightsbridge Theatre Company. 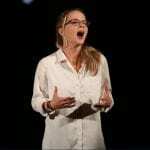 She is a past Portland Playhouse Apprentice (2015-2016) and holds a B.F.A. 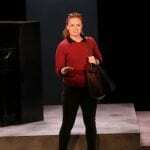 in Acting and a B.A. in Communication from University of California, Santa Barbara. 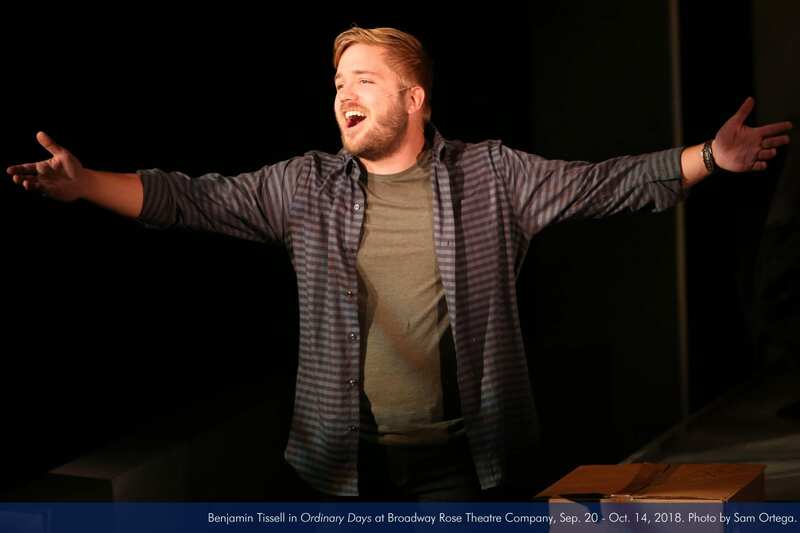 Seth is excited to be back at Broadway Rose. He was previously seen here in Joseph and the Amazing Technicolor Dreamcoat (Gad) and in a number of the summer children’s musicals. 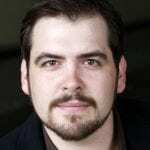 Other favorite roles include Beauty and The Beast (Ensemble and Lefou u/s), The Wizard of Oz (Ensemble), and Legally Blonde (Arron Schultz) with Pixie Dust Productions; and Little Shop of Horrors (Seymour), White Christmas (Bob Wallace), and The Producers (Roger De Bris) with Gallery Theater. 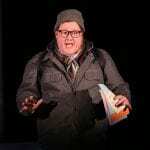 He also can be seen on the hit YouTube series The Haunting of Sunshine Girl as Uncle Tommy. 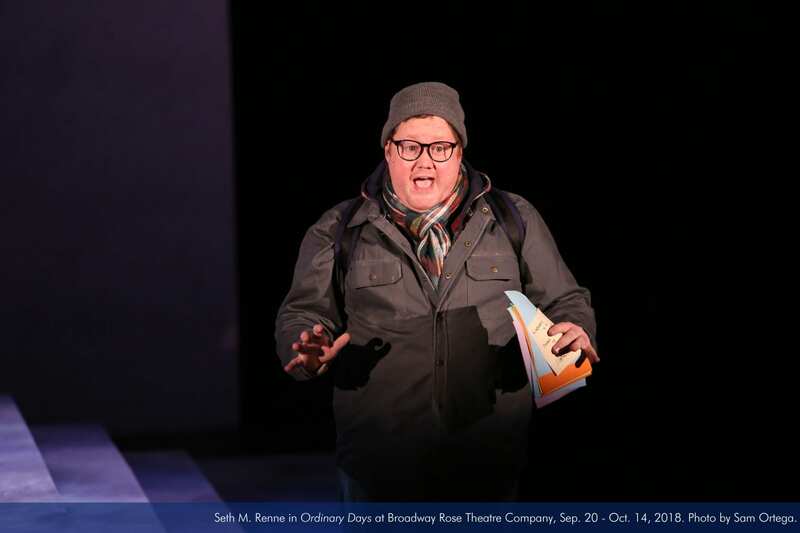 Seth earned his bachelor’s degree in theatre arts from Western Oregon University and is the manager of the Gallery Theater in McMinnville. Kailey is excited to be back at Broadway Rose after twirling a baton last summer as Dainty June in Gypsy. Portland credits include An Octoroon and The Importance of Being Earnest at Artists Repertory Theatre, Sense and Sensibility at Clackamas Repertory Theatre, Of Good Stock at Lyon Theatre, Urinetown with Anonymous Theatre, and Chicago with Metropolitan Community Theatre Product (Drammy nomination). I highly recommend this show. If you do choose to see it, please tell them Dennis sent you…Read more. 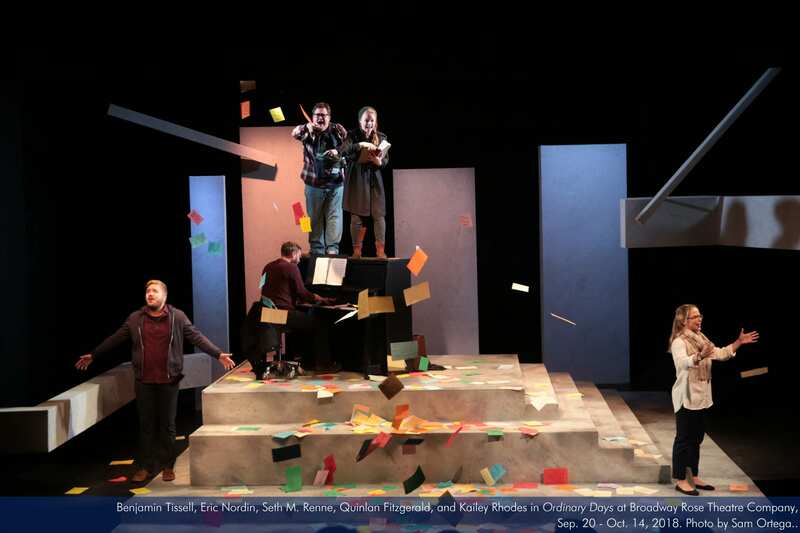 ORDINARY DAYS is a small musical — four people, not much dialogue, a single piano, a sparse set — but it’s precisely this simplicity that allows the big picture to emerge. And that picture is extraordinary… Read more. 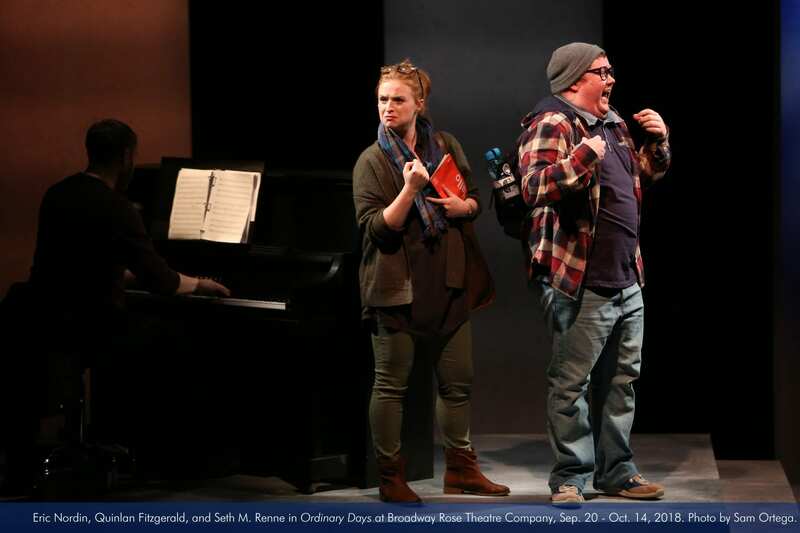 Their singing is a step up from what you can hear on the Ordinary Days Off-Broadway cast recording…And were all four not so stellar, I’d have happily spent the entire show watching musical director/pianist Eric Nordin… Read more. Everything about this play screams New York City in the best possible way. 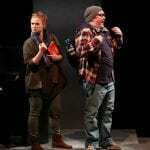 There is no playbook just Gwon’s music and lyrics–frenetic at times, jazz-inspired, colloquial but sophisticated, and full of savagely smart one-liners… Read more. 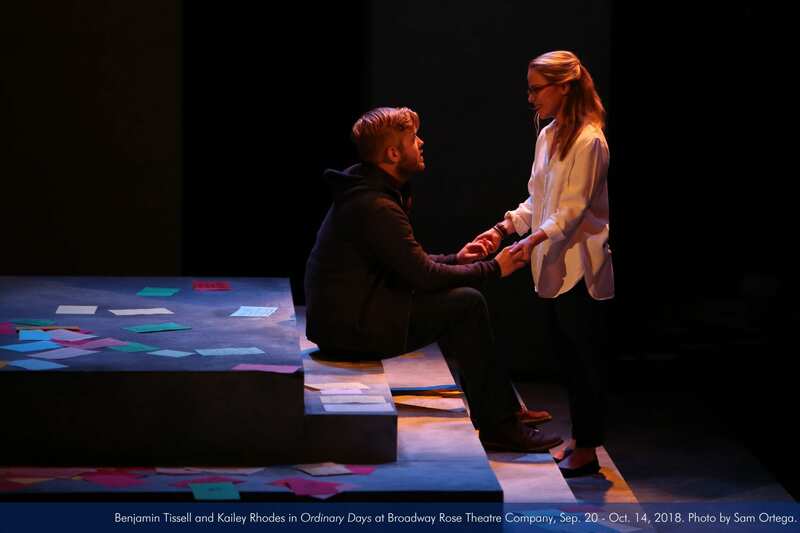 Director Isaac Lamb has given what could be seen as a “little” show all of the sensitivity and perception needed to present a pointillist tale of how meaning can be found in the seemingly trivial, ordinary events of Ordinary Days… Read more. There’s a lot to like in this intimate and entertaining take on young adulthood in the big city. Between the cleverly written lyrics and a tear-jerking third-act twist, I can say with some confidence that you will both laugh and cry. What more could you desire?… Read more. 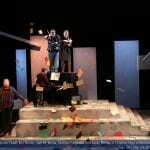 It is admirable when it somehow succeeds in shrinking life in New York… Read more. 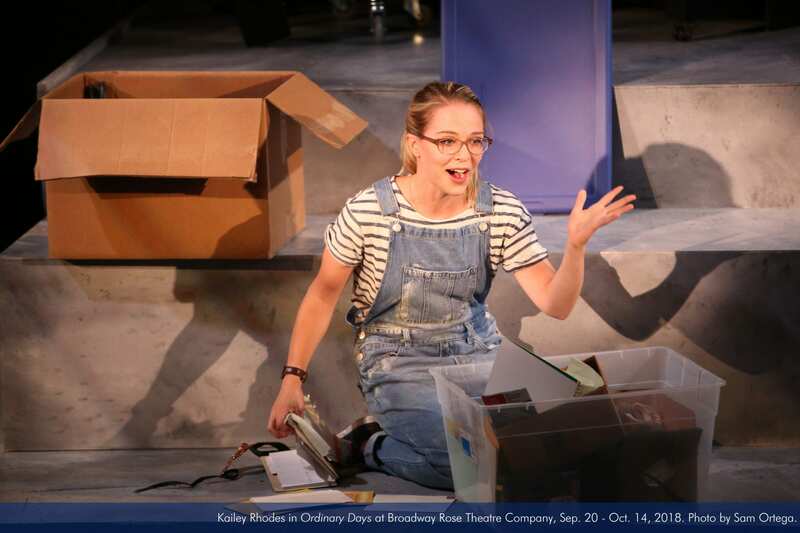 To call “Ordinary Days” a musical would be coming up just a little bit short, according to actress Kailey Rhodes. 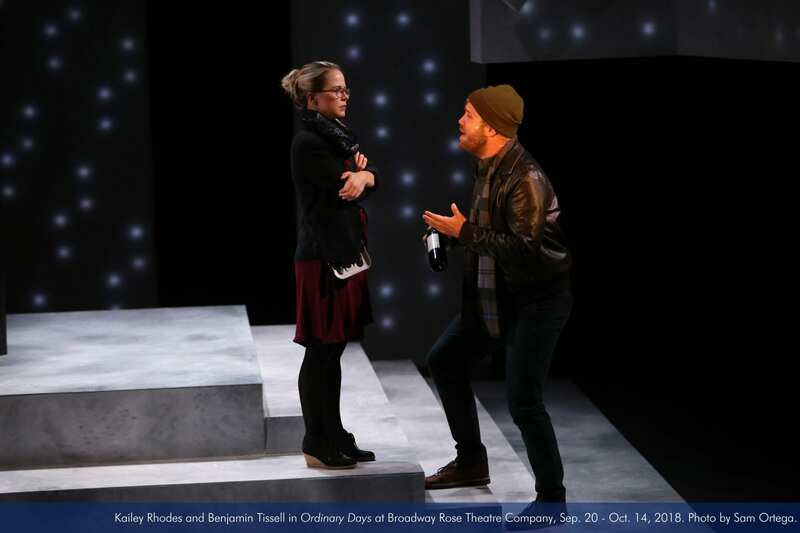 “This is more of an art installation, I think, in a lot of ways,” said Rhodes, who plays the role of Claire in Broadway Rose’s production of the show... Read more. 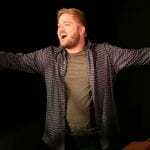 Isaac Lamb is among the most versatile, widely accomplished of Portland-area theater artists, but he believes he’s found a particular niche with his work for Broadway Rose…Read more. Theatre is such a temporal art-form, existing only in the moment of its creation, and so it cannot help but be reflective of the lives of its creators. I lost a dear friend of mine recently. She was vivacious, warm, and caring but she struggled with depression and tragically took her own life. I’ve been heartbroken over it, asking myself whether or not I could have reached her in some way. 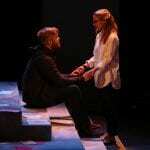 How then, do I dive into a musical called Ordinary Days when these do not feel to me like ordinary days? I love that thought. It’s comforting but it’s also a call to action. The world and its problems often feel so large in comparison to ourselves that we don’t realize the enormous impact even our smallest actions might have. Your sorrows and joys are as individual as your identity, but until they are as important to me as my own, neither of us has much of a chance of achieving a better world. This show isn’t about political movements or protests. But it is about the thousand tiny moments that make up a life and the thousand tiny humans that make up a community. It asks us to see the beauty in that connection and to trust in the tenderness of each other’s care. I may not understand or know the depth of your heartache but I believe we are interconnected, vital participants in a grander story. Random dots on a canvas, coming together to paint something much larger than ourselves. If we stand back far enough and see all the love and kindness and tragedy and sorrow the painting contains, then we can appreciate its beauty. I don’t know that I could have done anything to save my dear friend, but I do know that her life has irreversibly changed mine. I am better for having known her, better for having loved her, and the world will be better for her contributions. Our existence matters in the grand composition of it all. That gives me great comfort. Not everyone can go to New York to see the range of theatre there, and it’s usually only the splashier, commercial shows with name recognition that eventually come through town on tours. There are a lot of really wonderful, smaller shows that don’t ever make it to Broadway – maybe they don’t have famous actors or the glitz and spectacle that patrons paying Broadway-ticket prices have come to expect – and as a result don’t make it to a level of national awareness. These are remarkable, critically-acclaimed shows that, without the investment from local theatres willing to produce a show that few people have heard of, most people would never have the chance to see. Although we love doing big Broadway blockbusters and time-honored classics, we also consider it a privilege and a joy to bring you the hidden gems of the theatre world. 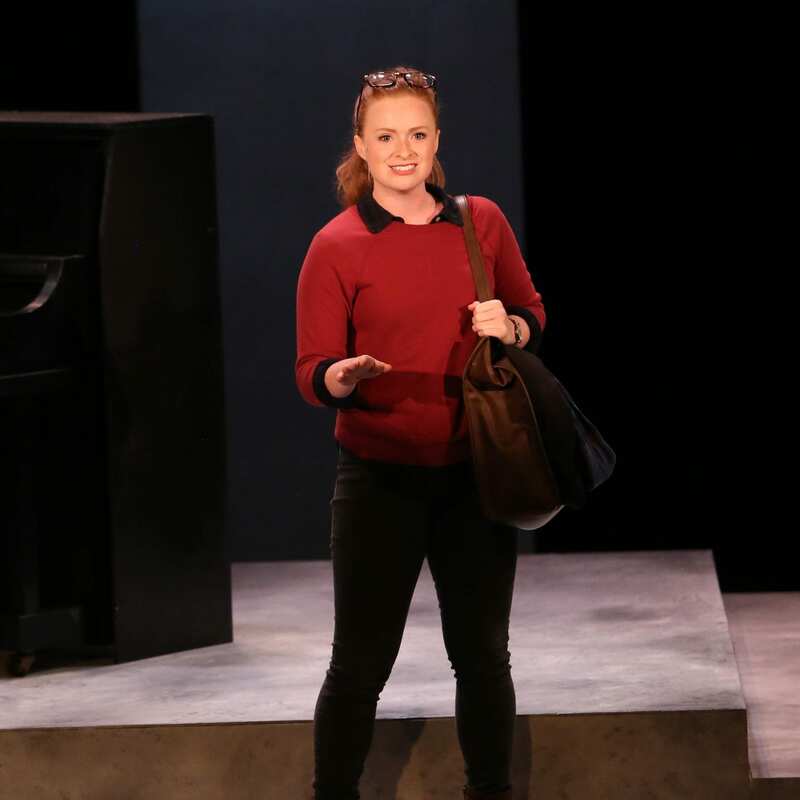 As part of our commitment to supporting emerging works and artists, each year we attend the National Alliance for Musical Theatre’s Festival of New Musicals. That’s where we first saw Ordinary Days, in 2008. It was one of eight finalists. 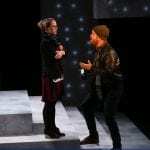 The show really took a lot of people by surprise with how much emotion they packed into the 40-minute preview performance, and it resonated with us deeply. Adam Gwon, the creator, is a pretty talented guy. Later, we had the opportunity to see a full production Off-Broadway at the Roundabout Theatre Underground. It’s been on our short list ever since. When we get excited seeing a show, we’re immediately excited to share it, but we had to wait for the right timing. Knowing that our last two shows, Mamma Mia! and Guys and Dolls, would be some of the biggest productions in our 27-year history (Mamma Mia! smashed our attendance records by a landslide), this was the perfect opportunity to offer audiences something entirely different with an intimate chamber musical. 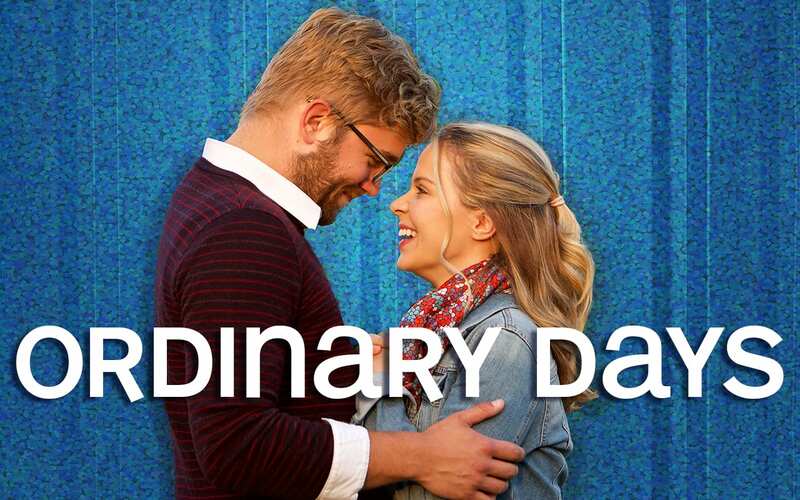 Ordinary Days is moving, surprising, and ultimately hopeful. Thank you for giving it the chance to become one of your new favorites. As you enjoy this performance of Ordinary Days, we hope you feel the same sense of discovery that we felt years ago. And, like us, we hope you can’t wait to share it. 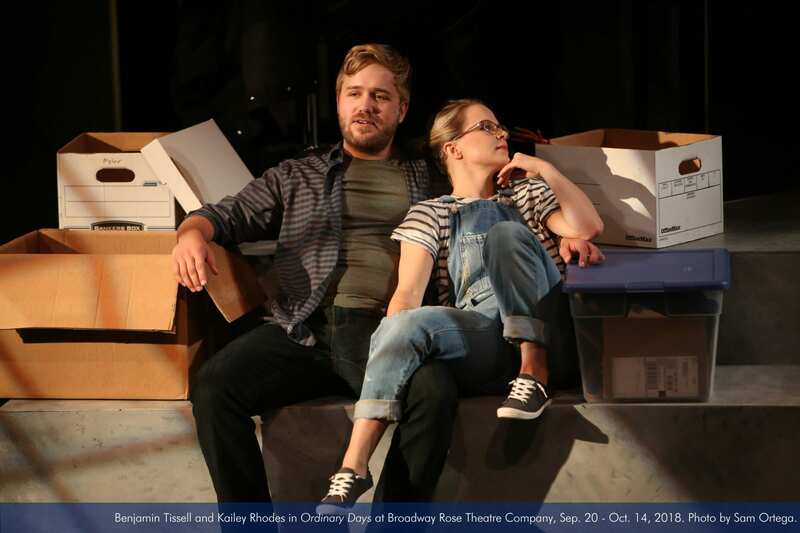 Benjamin Tissell, Eric Nordin, Seth M. Renne, Quinlan Fitzgerald and Kailey Rhodes in "Ordinary Days" at Broadway Rose Theatre Company, September 20 - October 14, 2018. Photo by Sam Ortega. What is an ordinary day? Broadway Rose proudly presents our inaugural art exhibition featuring the works of over 20 of the region’s emerging artists and is inspired by and shown in tandem with our production of Ordinary Days. Artists from all corners of the greater Portland-metro area were invited to submit works which explore the themes of love, loss, joy, and all the multitude of experiences that comprise a so-called “ordinary” life. The works on display pay homage to the numerous and diverse experiences of the people of our community, and we are honored to share their voices with our audiences. Our opening reception will be held from 6:00 p.m. – 7:00 p.m. on Friday, September 21, and the exhibition will be open to the public and patrons an hour before each performance.